Presenting first look poster of Kabir Singh starring Shahid Kapoor and Kiara Advani. Kabir Singh is an official remake of Telugu Smash Hit Arjun Reddy. 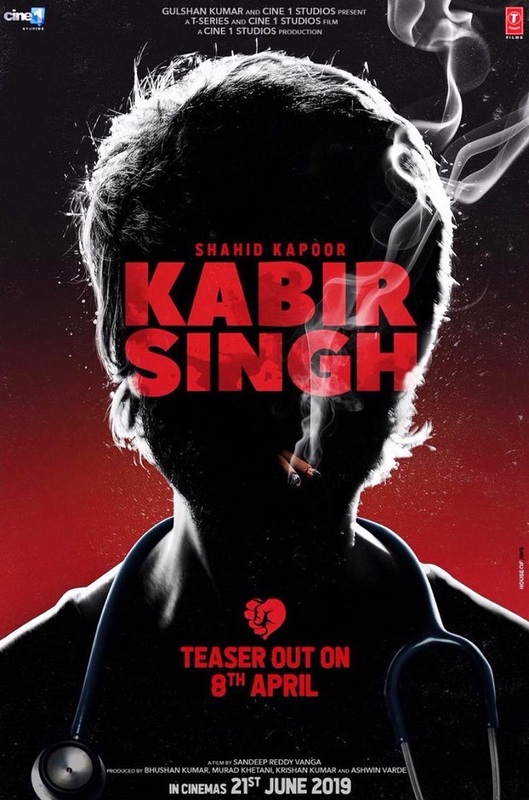 Kabir Singh Teaser will be out on 8th April, 2019. Film is directed by Sandeep Reddy Vanga and produced by Bhushan Kumar. Film is all set to release on 21st June, 2019.